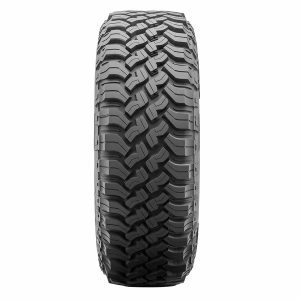 Trusted by the pros to take on the harshest conditions, the tough WILDPEAK M/T is built to get you there and back whether you’re on the pavement, mud, snow or rocks. The M/T features Falken’s proprietary three-ply DURASPEC™ Sidewall Technology developed to sustain the most punishing off-road conditions. 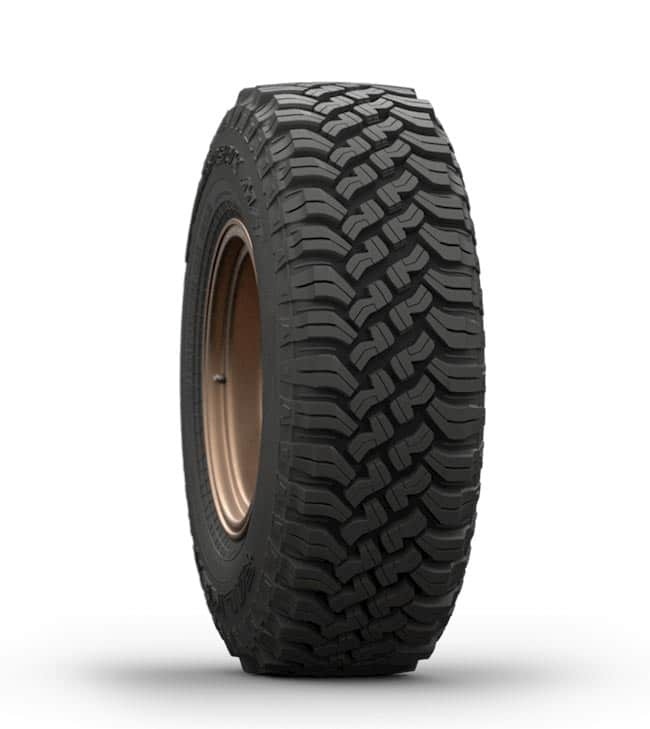 DURASPEC™ also features two high ply turn-ups that provide an additional layer of protection and durability. 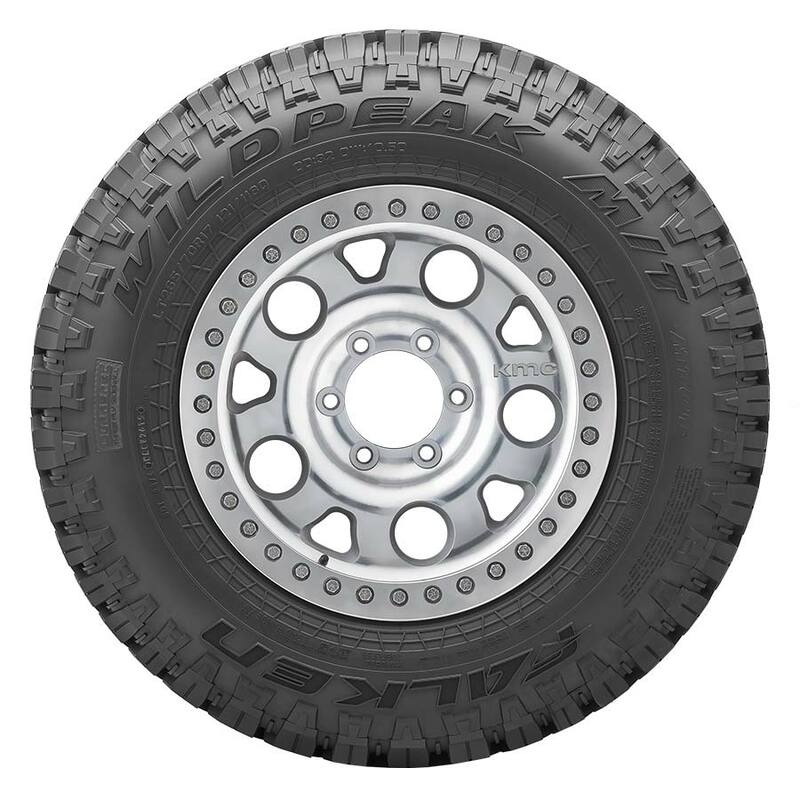 An aggressive upper sidewall provides additional traction at low air pressures on rugged terrain. 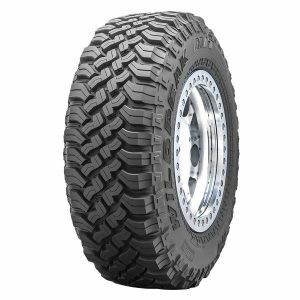 The WILDPEAK M/T also features exceptional road manners thanks to an optimised variable three-pitch tread pattern and precision manufacturing technology. 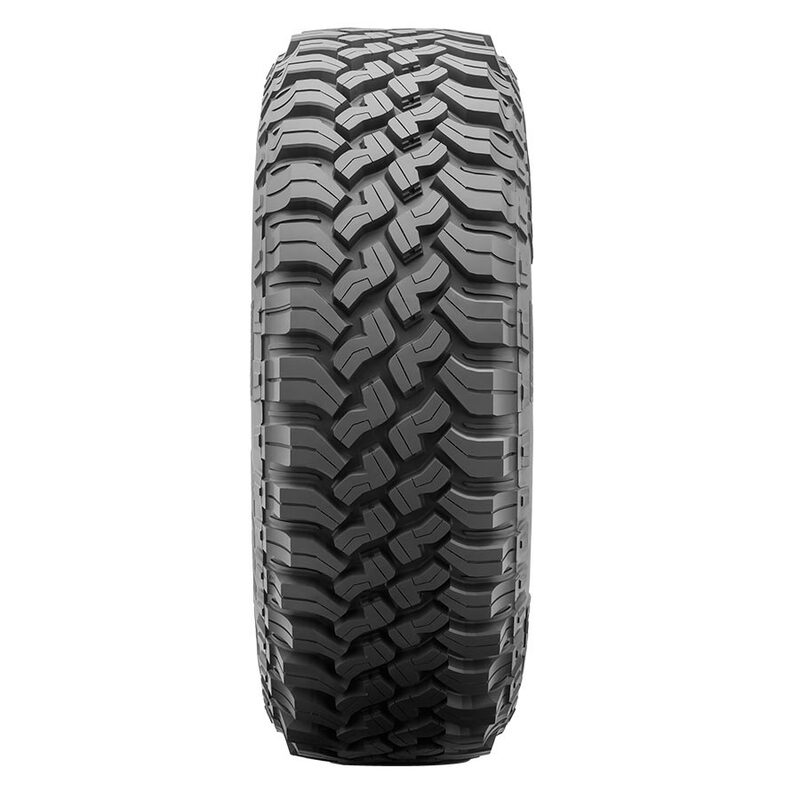 Feature step‐down supports on the center blocks to provide tread-pattern rigidity in the contact patch, enhancing stability and handling while preventing stones from becoming trapped in the grooves. Along with offset shoulder blocks protect the tyre from sharp rocks and provide additional off‐road traction at low tyre pressures or in off‐camber situations.